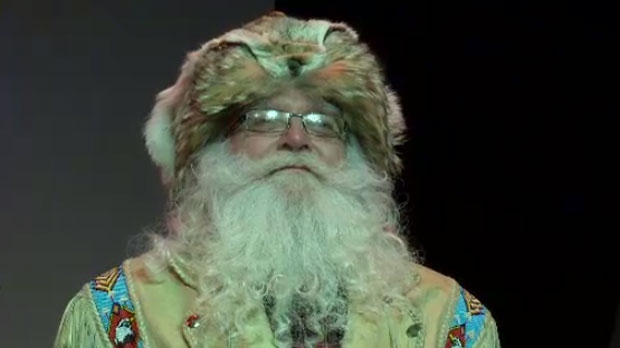 A display of beards stole the spotlight at Festival du Voyageur Friday night. A hearty bunch took the stage at the voyageur trading post to show off the results of this year’s beard growing contest. For the 33rd annual competition, participants threw away their razors Dec. 18 and grew their best facial hair. Judges made their picks in four categories: regular beard, novelty groomed, open (which even women can enter with fake beards) and the crowd pleasing ‘wild and wooly’ category. "There's some pretty cool looking ones - with some huge twirls - and some brought their hair stylists to help them groom for the competition,” said Eric Burke with Festival du Voyageur. About 50 entries signed up this year, with the clean shaven category being the most popular.